Advocate2Vaccinate is the annual, spring advocacy activation of the UN Foundation’s Shot@Life campaign. 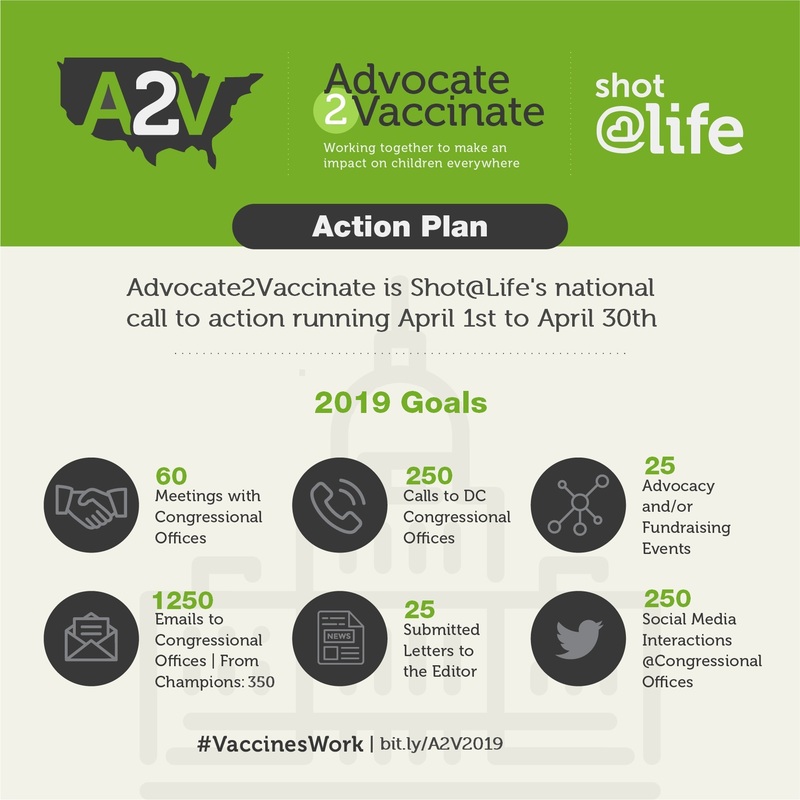 Throughout the month of April, Shot@Life asks our network of champions across the U.S. to contact their members of Congress and stress that funding for global vaccine programs is a priority. And make sure to check out our A2V Toolkit!